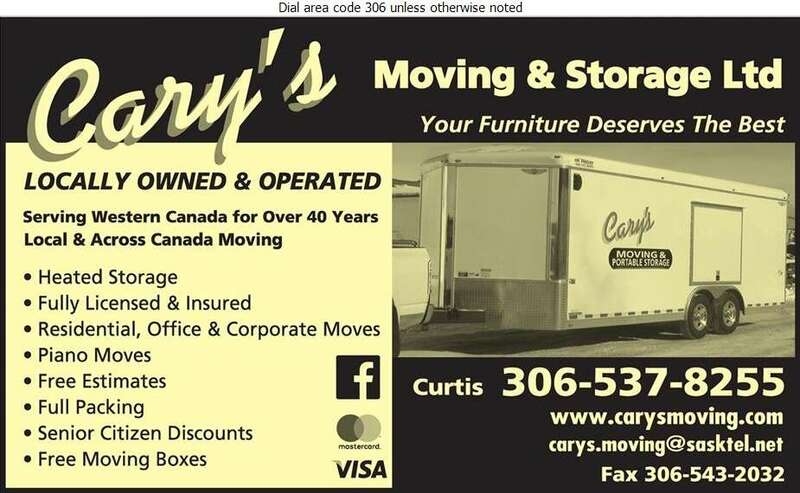 Serving Western Canada for over 40 years, Cary's Moving & Storage Ltd. is here for all your moving needs. At Cary's we provide assistance with all of your home, office and corporate moves, both local and long distance. Packing and unpacking services are offered along with free packing boxes and estimates upon request. Heated, secure storage units and portable storage trailers are obtainable through our office.